Mike Ragogna: Mark, let's talk about Cauterized. Recording artists often title albums, not just because it's a key track or because it sounds like a cool title, but the title makes a statement about the project. It ties-in with a message the album is supposed to be achieving. Does that apply with Cauterized? 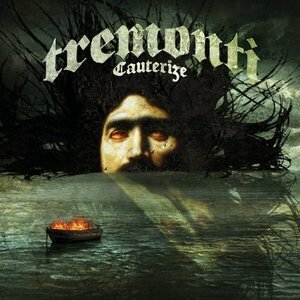 Mark Tremonti: You know, to be honest, I fell back on Cauterized. I wanted to name the record Providence at first, and then I seemed like the only one who thought that was the strongest title. So I kind of went back, went through every lyric in the album, went through every song title, and kind of made a list of maybe 200 possibilities and I went over and over that list and then finally went over it with my brother Dan and we kind of focused on Cauterized. We thought it would be a good word; it's not your most typical. I have never heard of an album called Cauterized before or a song or a band, so I figured it would be a good, nice, unique name. MR: How do you feel you've progressed from the first Tremonti album to this one? MT: Other than the simple fact that we added a band member on the bass, Wolfgang Van Halen, the biggest change for me was that this was the first time I recorded an album after being a professional singer. The first album I recorded was the first time ever in a studio as a singer and after recording the album I went and toured for a year and a half. When you're out there on tour you develop your skills, you develop your voice so much more than if you were sitting in your room practicing vocal warm up tapes or vocal techniques, or taking vocal lessons. It made a humongous difference in the way I look at singing and I came into the studio with a new confidence, much more confidence this time around. MR: There had to have been some angst going on where you were like, "Ugh, is this working? What's going on here?" MT: You know I had been a songwriter for so long, since I was a kid, but it was something I just wanted to do to get a lot of ideas I knew would never see the light of day on tape or recorded, because I have this fear of being this old man who's upset that my life's work just kind of went unknown because I never released a lot of these ideas that I loved. A lot of these heavier ideas that I had loved just never quite fit the bands that I was in so this solo project started as just an outlet for me to get material that would never get out there out there. It's developed into something where, on this album, has turned into something so much more. Something where we saw the potential in the band in the first record, and now we're pushing our limits as hard as we can and making the most of it. MR: Now creatively, you kept using this as the vehicle for getting out things you really couldn't get out with Alter Bridge and Creed, but what are the things that you think are the biggest changers? What is the spot light mainly on, beyond your voice, that separates you more out, that takes you more out from Creed and Alter Bridge? 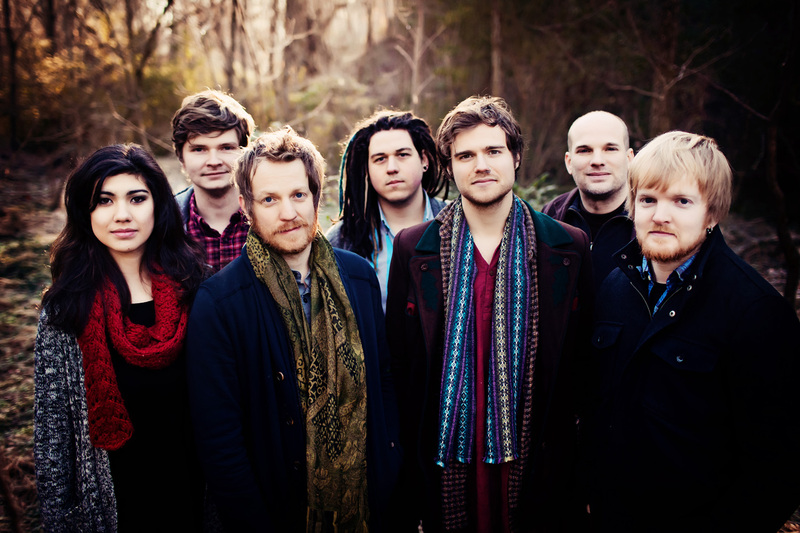 MT: It definitely gets more of my roots into this band. When I was younger I was into speed metal, heavy of all kinds and punk and the other guys that I work with weren't really into that. With this I've had so many riffs and parts that I've written in that kind of heavy metal side of things that just never fit and I really wanted to make sure that that side of me got out on this project. But, at the same time to keep that melody the core of sort of the most essential part of the song- which definitely has to be the melody. MR: How do you see yourself evolving as Tremonti? You've had a lot of musical success, and many other artists would keep the formula going, yet you're sort of evolving from that. How do you see yourself evolving even further? Do you have a goal? Is there a mission plan? MT: No, the only goal ever is to improve on what you've done in the past and not repeat yourself, to still have the melodic approach. I think going forward we'll try and get a little more progressive, but not progressive to the point of loosing the core of what people like about a song, but to add more progressive elements to it. I feel as if there are a lot of bands out there that are doing things that we've never heard before that I really appreciate. I want to pepper those kinds of ideas within our music and make it more interesting, give it some more depth, but not loose the essence of what the song is. MR: The reason why I'm asking that question is because you did have a mission statement with Creed. It may not have been a conscious one but you ended up making a statement with that group. With the album Providence, that word seems to be the big statement song of the album. So how far do you dig into a song when you're writing it? Do you have layers of "that's not good enough"? How do you approach things creatively these days? MT: The same way I always have. I will write ideas and I think most songwriters will write ideas they get really excited about and they'll try to finish that song before they move on. I will write an idea and try to write similar parts to fit with that idea until I'm not inspired anymore and I'll immediately go and start writing something completely different. Then I'll go back sometimes months or weeks later, and go and organize my ideas and if a part has been there for sometimes ten years, I'll wait until it's married to another part that I feel is as strong and fits the mood. Some songs it takes years and years and years to develop because I don't try and force a song to be finished. I let it happen naturally and that's what I've always done. That's what makes it easy working with Alter Bridge and Myles [Kennedy]. I never approach Myles and say, "Here Myles. Here's a song I wrote. Sing it." Myles and I both do the same thing. We'll say, "Here's a part I really like. Do you have a part to put with it? "That way we both feel each song is special to us because we've added something to that song. If Tremonti goes, "I just wait for a part to match another part," and I will sit with the guys in the band and I will play them all my individual parts. When they like an idea I'll mark it and then we'll go back and work through those ideas until we find matching parts. I don't like to have songs that have a forced section of the song where you've got great sections and then all of a sudden the bridge is lacking because you tried to push it. But, sometimes it works where you try and write in the moment like in pre-production. On the song "Providence" for example, most of that song was written in one day. But you never know when that inspiration is going to happen. I just try not to force it. MR: What songs do you think best represent what you're about these days? MT: I can tell you the songs I was most excited about. "Flying Monkeys" early on when that came together and when we finalized that song in pre-production I was very excited about it. It did everything I wanted to do within the song. I liked the fact that it didn't have a traditional guitar solo, and the mood it set and how heavy it was without being fast. It was just a very important song for me to get finished. It's funny, the first single Another Heart was not really a very important song to me through the recording process, but it became more important as it went on. It was kind of one of those songs where I felt the verse could have been better, but now that I've lived with it I think "You know what this is the perfect verse for that song." It just took me a little time to realize it. Like I said when I try and put parts together I want to make sure the perfect parts are fitting with one another. The rest of the band and Elvis were all like, "No it's a great verse for the song," but I doubted it until I actually heard it. That's what's good about this because five heads are better than one. That was one that we really worked on very hard. Everyday we'd come in and try and better it. There were points where we were satisfied where it was but we just kept on digging in and made it better each time. It seems like a new sound for us, that song, and we're very happy with it. MR: You're at that point where things keep getting better. What are the experiences of the band when you're on the road? You've been touring since April, and you're going to Europe now, by the end of a tour it seems like a lot of bands feel like they really know the material. A lot of times unfortunately the tour happens after the record has been released. Do you ever have that experience where towards the end of the tour it seems like, "Oh man, now I get what that song is about?" It's not second guessing so much but do the songs significantly take on more of a personality or light because of what's being discovered about that song on the road? MT: Sometimes when you're out there singing live you get so much more experience when you're doing it in front of people. Just yesterday when I was running through songs, I have to make sure I'm pushing my voice at home or else I'll loose my voice in the first show, so I'm singing through some of the songs and I'm singing them differently than when I recorded them because I'm placing the vowel sounds differently, or putting a breath here differently just because of the way I've been doing it live. Sometimes I wish I could go back and re-record the way I hit that word. But, that's only stuff you can learn after touring for a month. When you're in pre-production you're only singing these songs for a few weeks. Lyrics are usually the last thing that comes together because of that you don't have a ton of experience singing them before you track them. MR: What about technique? Has someone taught you how to save your voice on the road? Have you had voice lessons or are you doing anything proactive to protect it? MT: I'm going to knock on wood but I haven't had any problems, so far. Myles is very protective of his voice but he sings much more than I do. He's non-stop out there. We sing very differently. I sing very very loudly. For high notes, I push really hard and I know I'm not singing completely correct, but at this point I have never felt like "uh-oh" I'm going to have to cancel a show or sing a less song. I've felt like it's been strong, it's been there. I think everybody's genetically different. Some people's voices give out easier than others, and so far mine has hung in there. I think as long as you don't get a cold or a virus it's good. MR: You have a companion album to Cauterize, Dust, that's coming out next year. You recorded a lot of material but again, songs may be evolving on the road. Dust was completed in 2015 yet coming out in 2016. Might exploring that album's material on the road change how you'll eventually feel about Dust's recordings? MT: I didn't even think ahead. I just said I want to record as many songs as possible, and then I got with Elvis our producer and said let's put together a package for the most amount of songs we can do and we decided on twenty. So I put together twenty-five songs and then we got together for pre production and cut five of them out and recorded the top twenty. It wasn't until almost mixing time that we started to say how the hell are we going to release these twenty songs. I think twenty songs at one time is way too much. If a band releases fifteen songs, I don't know if it's just because I'm older now, but if a band releases fifteen songs I'm going to quickly breeze through it and have four or five songs that I like and I'm going to forget about the other ten. I don't want that to happen to this album but at the same time I thought ten songs I grew up on ten songs, I grew up on less than that, I grew up on eight song albums. Metallica records and Judas Priest records and old school records had four songs on a side. I kind of thought this ten song record idea is going to work well. I think it's easy for people to digest. I'm just going to wait until everybody really gets this record and they're eager for the next one before the next one comes out. Twenty songs at once is just way too much. MR: When Dust comes out, it's going to sound, well sonically it has the same players so it's going to be beyond a companion piece but sort of like part two. MT: It's just the sister album. If I looked back at the 20 songs I didn't want it to be the ten heaviest songs and then there's the campfire ballad, and I didn't want it to be the ten good songs and the ten not so good songs. I took it and looked at it and said ok if there are two mellow songs - ones going to go on the first record and one's going to go on the second record - I mixed them up as good as I could. I'm not going to lie and say that maybe some of my favorite songs didn't make the first record because the first impression is always the most important, but the second record is not going to be far off from the first album as a whole. MR: One of the songs, "Arm Yourself," how did that come about? MT: I had the idea for that chorus for a while and I remember at the last Alter Bridge writing session, Miles was really loving it and I always loved it. I just tried to really work that into the song and when we went into pre-production I remember Elvis saying that was his least favorite song. All of us as a band were like well it's one of our favorites just cause I think it's the heaviest song in the record, and once we got it done and it was time for vocals I remember Elvis going, "This is a fun one man, this is a great one." And I'm like, "See, told ya. Just give it time." That's why always the five heads are better than one kind of thing. It always works for every individual whether you're a producer, a guitar player, drummer, everybody's opinions count but it's just a good energetic song and just one of the band's favorites. MR: You have participated in bands that have sold over 42 million albums, so how do you keep perspective after that kind of success? MT: The only goal I ever have or perspective I ever have is the last record. This record has to be better than the last, and when that happens I feel good about myself. If that doesn't happen I feel like it's time to retire. I never rest on my laurels. I never sit back and wait until the last minute to do anything, I always like to be over prepared and work my hardest. If you're not getting better, you're only getting worse. I think that jumping back between Alter Bridge and Tremonti keeps each band excited, keep you learning new skill sets and it keeps you challenged. I think that's kind of what's helped. I think that's why Miles and I especially keep doing what we're doing. MT: It's all about the songs. I've always said that from day one. If you write a great song nobody's going to be able to successfully follow that great song. I get tired of gimmicks. There are some gimmicks that are great, some bands do it well. But I think at the core, the songs are the most important things. That's it. Focus on your songs. MR: Where do you go from here? Dust is in the can and you're going to tour. I asked you before what the game plan is as far as Tremonti but what about you personally? What's your goal at this point? You've had so much success, what do you do now? MT: Songwriting has always been such a big part of me; my goal is to be able to do this as long as I want to. I don't ever want to all of a sudden not be able to do this if I'm still able to be here to do it. Songwriting is still a huge part of me. My goal is to make Alter Bridge and Tremonti both comfortable bands to tour in so that I can bring my kids out anytime they want, have my wife fly to Poland if she wants and whenever she wants. Right now Tremonti is at this state where we're starting from square one again and so it's kind of an uncomfortable touring situation. It's exciting to get on stage but everything else is kind of dry because on our days off we share one hotel room. Everybody - the crew and band share the same shower and we're starting in clubs again. So it's back when you first start your first band and it's like camping and it's like fun and you're having great experiences. But this is the third time I've done it. My goal is to get to that next step with this band as soon as I can so I can have my kids visit me whenever they want without having to keep twelve other dudes on the bus. MR: Creed has been traditionally kicked around a lot. Does that hurt your feelings that something like that would have happened to something precious to you? MT: I think it had to do with a lot of things. The first was when we were new and we were the underdogs everyone wants you to succeed, but even when you look back at Creed, its not the most original sound. There are a lot of bands that sound similar. But when you look back when we first came out we were the only band that sounded like that. Everything else was kind of a Third Eye Blind kind of sound. It was a happy pop-y kind of rock scene. We were the band at that time that came out with the more somber, more moody stuff, and Phase the New were the two bands that kind of had that sound. I figured that just because we sounded different from what else was going on, I know a lot of people compared us to the whole grunge scene, but still it was a different more moodier kind of thing we had going on. I think that's why people connected with it first. People connect with it and it starts getting bigger and then when it got completely massive that's when people were like, "Hey wait a minute. This isn't as cool as I thought it was. It was all over the place. I've heard this song a billion times." Then things stated getting out of hand with certain band members' behaviors and that's when the gloves came off with critics. I think I read a quote by Michael Jackson once, he said if you want millions of fans you better get prepared to have millions of people that dislike you. It's just part of the game. I'm lucky enough to have had a very successful band that sold lots of records and played sold out arenas, but then I was also very lucky to have a band like Alter Bridge that was critically approved, that the critics approved of and other bands dug and kind of live both worlds. Panda Elliot is an Argentine singer-songwriter whose new album, Forastera, will get a US release in late August. Her new cover of The Cure's "Lovesong" will be included on the US release." 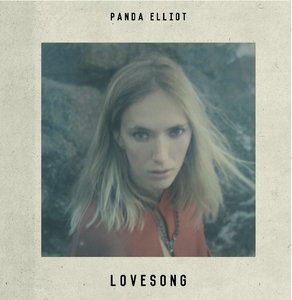 "Lovesong was the first song I ever felt comfortable with singing, it represents a real turning point in my life. I wanted to record a laid back version that cut the song to its core and that was the inspiration for the music video, simple and timeless." Mike Ragogna: David, to this point, your career has embraced performance art, film, video, writing, and music, which you're currently focused on due to your connection with the non-profit, Little Kids Rock, its mission to bring music back into the education system. When did the issue of disappearing music programs in formative education come to your attention? David Anson Russo: I have 4 grown kids and as a father, have watched the removal of the arts programs from schools across the country, and coming from a family of artists, its a big issue. That is why we desperately need foundations like Little Kids Rock in order to deliver its music program to kids who would normally not have access to music lessons and instruments. The reason LKR is as vital as math, science, or learning a trade is because there are so many rewards through the process of learning an instrument; self esteem, pride of accomplishment, developing a life-long passion, a possible career, etc. it's a gift to a child something that will deliver value throughout his or her entire life. MR: What is Little Kids Rock's history, how does it function as an entity,and what age groups does it assist? DAR: The best way to answer this question is right out of the LKR agenda - What makes Little Kids Rock different is that they do more than just donate instruments like guitars, drums and keyboards; they build lasting music programs that focus on teaching kids to perform, improvise and compose the popular music genres that they already know and love, like rock, pop, blues, hip-hop, country, reggae and R&B. Little Kids Rock also trains public school teachers by donating the instruments, curriculum resources, and support ,aterials they need to ensure that their kids have all the tools to rock! Any full-time public school teacher in one of their 29 current cities is eligible to apply for the next Modern Band workshop in their district. Applicants don't need to have advanced abilities on all instruments, but only a basic proficiency on the guitar. Upon completion of the workshop, teachers can get a program up and running in their school quickly and at no cost to themselves or the school. MR: What is its ultimate goal and how will it ideally succeed? DAR: The goal is to provide musical education to all children living in areas without access to music programs. It's about offering musical education during their important formidable years so they grow up with and nurture skills, talents, accomplishments, and build self worth through a rewarding creative passion. Remember, ours is a creative culture and society, everything you see is art, design, fashion style and we are all driven and connected by music. Music scores our lives, and it is very important that we all think of it as important. MR: Do you think it's purely economics or something more that led to the United States de-emphasizing musical education? DAR: When the country is hurting economically, as we all experienced due to the collapse in 2008, programs were destined to get cut. Schools must operate on less revenues. There is trickle down effect and the kids are the innocent victims. People make drastic choices and hard cuts that in hindsight, may not have been the best choice ultimately. The good thing is that organizations like LKR enter into the picture to rescue music programs and attempt to restore programs. If you take music, the arts, sports, class trips, out of the school system, kids have an awful lot of free time to experiment with other things that may not be good for them. It's important to mentor kids by filling their minds, hearts and soulswith productive and enriching experiences, like learning a musical instrument. MR: What are some of Little Kids Rock's achievements? DAR: You would really have to go to their web site to read about how they have significantly impacted children's lives across the country and the incredible system they have built to bring their wonderful programs to those who stand to benefit the most. I think their achievements are obvious looking at every kid who has learned a new musical instrument or music related skill set and talent. This strong positive influence will continue to grow as LKR grows, hence why it is so important to help them out now. MR: Beginning today at 11am, you will be performing in a Saks Fifth Avenue window to bring awareness to the cause. Several of the young LKR students from an under-served LA school will be performing at this kick-off "window reveal" event as well. Can you go into the specifics of the entire three-day event? DAR: On June 9, 10, 11, I will be painting for the LKR charity in the windows of Saks Fifth Avenue in Beverly Hills (9600 Wilshire Blvd) for all to see. Please stop by and say hello. One huge front window at Saks will be my fishbowl art studio where I will be creating one large, acrylic on canvas painting a day, for three days. The second window will serve as the art gallery for 14 completed original works of art that will be auctioned off at the on-line Charitybuzz auction and at the private live auction the evening of June 11th inside Saks. https://www.charitybuzz.com/littlekidsrockThe event culminates in an invitation-only live auction where I will donate 100% of the proceeds from the sale of 14 original paintings, 3 created "live" in the window, and a dozen limited edition fine art prints to The Little Kids Rock Charity. The charity is chaired in LA by notable motion picture producer Cindy Cowan, who will host the auction for Russo's works with Saks. I had successful book tours with Simon & Schuster in the 90's where I painted in the windows of some of the most prestigious book store windows on Fifth Ave in NYC. Based on these positive experiences I decided to do it for charities. 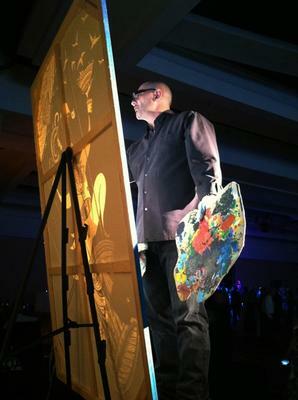 Over the past few years, I have appeared at about seven different charity galas, where guests watched the paintings come to life over the course of the evening and then each painting is auctioned off during the live auction at the end of the night. I have been honored to help many different charities - JDRF New England, BJA Lung Cancer Foundation, APLA for AIDS research, CUN benefiting foster kids, and more - through my art. It has been working well because people I've spoken with seem to like the whimsy and inspirational messages inherent in my new art style, called What a Great Life. The art has raised significant sums for each charity, with all proceeds being donated to the charity. I have been working with Saks Fifth Avenue for the better part of a year to create a window event where I paint live for charity in their expansive windows. The Saks creative charitable initiative is about helping others through art. MR: At its conclusion, how will you determine if the Saks Fifth Avenue event was successful? And what do you think the kids ultimately will take away from their experience? DAR: The most important thing is to create funding for this great charity. All that matters to me is that the art sells for high prices to art lovers who are charitable of heart, love kids, and love music. This is more about helping LKR than buying art. Your take-away gift for your caring charitable contribution is a beautiful work of original art, but the donation you provide will help so many kids, and this is the primary focus. MR: It's interesting that you'll be combining performance art with music at the event. That must be very satisfying for you personally. DAR: Its incredibly satisfying to be able to create an image that can be turned into revenue to help those less fortunate. You mean, I can draw a picture and it can help! I'm in! 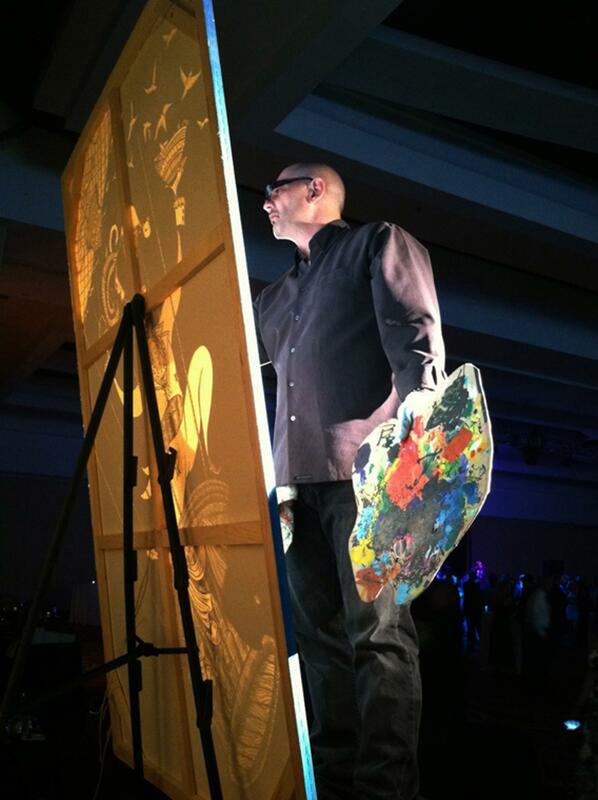 This is an artistic creative event! Visual arts, music, fashion, and style, are all a part of this event. If you look at the work I am creating for this event, you will immediately see what I mean. 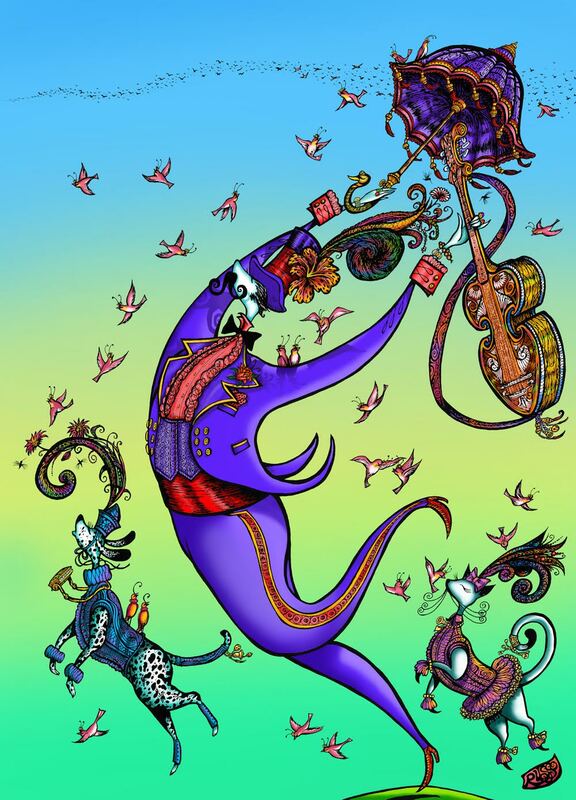 In addition, all my work is created to music, primarily jazz and sometimes I will even include music links with the art on social meida so fans can listen to the music that helped inspire the art's creation. The music is a part of my work as much as the paint. For this event, I am combining "music" elements for LKR and "beauty" elements for Saks. MR: What was your own musical education like, what are your favorite works and who are your favorite artists? DAR: I played the tenor banjo when I was little and went to lessons regularly, but cannot play anymore. I can sing a bit and play my steering wheel pretty well. We have a few well know singers in our family. Perry Como was my grandfather's second cousin. Opera singers Richard Tucker and Jan Peirce are family members. My music interests are very eclectic. I grew up in the 60s/70s so it ranges from Robert Johnson and Benny Goodman to classic rock and everything in between. Currently, classic and cool california jazz - Chet Baker, Charles Mingus, Stan Getz, Bird, Joni, Hendrix, Johnny Cash, etc. MR: What else are you working on lately? DAR: My primary focus is building this new art brand we are calling What a Great Life or WAGL, which is an inspirational brand, based on the exact style I am using for the event. My FB fan page shows all the art and includes famouse insirational quotes as well. People have coined it as whimsical, romantic, wildly inventive, and out of the box, like Dr. Seuss meets Yellow Submarine. We are focused on applying all the art and fabric designs to created beautiful high end products; apparel, beach towels, silk scarves, bags, shower curtains, and more. The most important part of our goal now is creating our animated e-greeting card company, and webisodes with the art/characters and invented world of WAGL. My awesome animation team just created our first animation and over the next year will be creating a wide variety of animated greetings for the public, unlike anything you have never seen before. In addition to being an artist and author for most of my life, I have been a television series creator and executive producer for the last two decades with a few new series in the works as well. As you can see, there is a lot in the works, art related, joyful, and life affirming. What else is there? DAR: First, read the poem "IF" by Rudyard Kipling. Live and embrace your passion, fully and completely. Be a unique voice and reveal to the world what you are thinking. If you have something important to contribute, they will pay attention only if you deliver your pure self to the work, then your contribution will be rewarded. The world has everything and eveyone else but you and your uniqueness. It needs you. MR: What 's next on Little Kids Rock's agenda? DAR: I know they have a great deal going on and they do a big event in October in NYC so maybe I will find my way there to do another painting for them. Meanwhile, they infuse children with the joy and love of music and that is a daily ongoing occurrence. Namaste! "11 miles is a bit of a surrealist 'Mono Myth' or what Joseph Campbell would call a 'Heroes Journey,' only in this instance, the hero is literally being strung along by his own sense of calling. 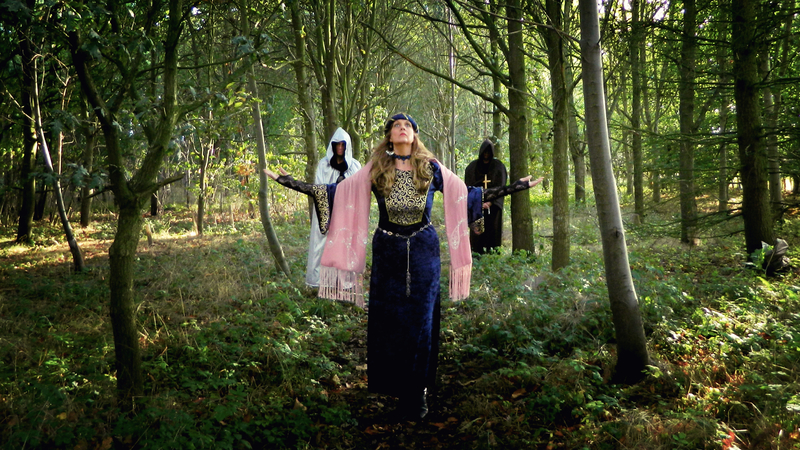 The concept for this video borrows imagery from Asian folklore as well as details from a personal dream. Ultimately, I think '11 Miles' is best described as an ascetic love story." "Little do they know that what is to follow will force them to make momentous decisions. Does our Knight desert his Queen and be branded a traitor after news that his family are dying? Does Lady Dawn loses Faith when the cursed plague comes to take her children? 'Oh God, your choir is dying.' 'Rolling Fields' will take you on a journey to the centre of your heart." The story of The Fludes' Lady Dawn, The Enchanter and Father, can be found with maps and ancient scrolls in the Kingdom of Haddon at http://www.dawndiamonds.co.uk.